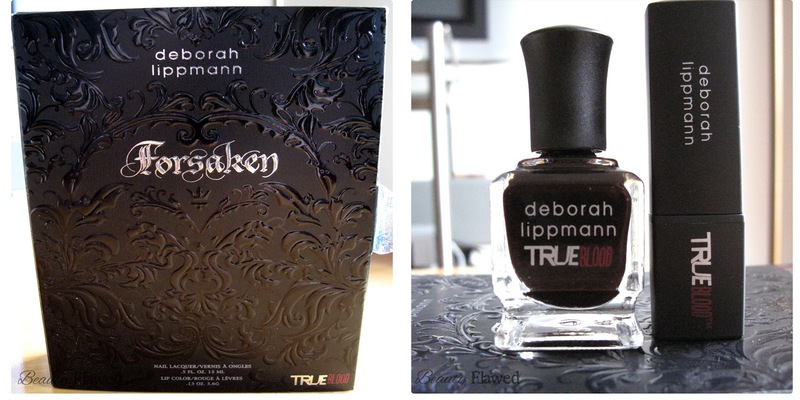 I've been holding out on you guys, I've had these Deb Lippmann True Blood Forsaken shots on my computer for a good minute now. I'm sorry it took so long to get these posted! I must say the polish and lipstick have quickly become my favorites they are truly stunning on. The polish (Let it Bleed) goes on very pigmented in just one coat I like to darken it up and do two for that extra dramatic look. It also wears very well and dries quickly I am thoroughly impressed by the Deb Lipmann polishes and I see many more of them in my future because the quality is outstanding. I have no problem with this chipping just make sure your applying to clean dry nails and give each coat time to dry before applying more. I find that if you rush it and apply while your first coat is tacky it will effect the way your polish wears in a bad way. The lipstick (Bite Me) is a bit different from others I've tried but still very good quality all the same. It comes off a little hard until it warms up a bit. Once it's warm from your skin it glides on very smoothly and without any tugging. I'm really in love with the color because you can leave it light or build it up to your liking. It doesn't leave your lips feeling dry after wearing it and it stays on well. It doesn't hold up to eating greasy foods but a light meal or drink and you wont have anything to worry about. I may actually purchase another one of these sets just to have for future use! This set retails for $28.00 from HSN or $38.00 from HBO Shop. What do you think of the Forsaken Set? Okay, I'm in love with that lipstick. The color is just gorgeous. So cool! I had no idea HBO had a shop with this kind of merch... I'm obsessed with True Blood but rarely wear reds - I do like the lipstick though! Red lip color can be such a challenge! The color looks great, but I thinking the smudging may frustrate me! I love the dark nail polish. My kind of color for the winter season! 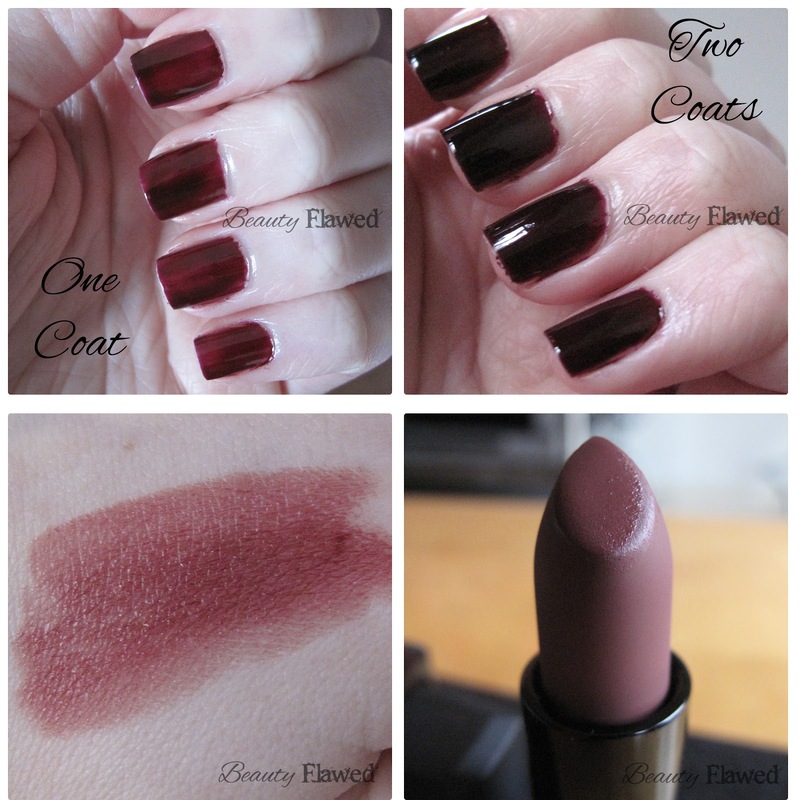 The lipstick looks truly succulent...I'm not the biggest True Blood fan, but it looks too good not to try.